A proven track record. For 16 years, ASI has been the USA's leader in developing upscale turn-key retail business opportunities for our clients and has helped more than 1000 people to successfully launch their own retail business, even with no prior retail experience. A proven format. Our business format consists of product selections, pricing, merchandising, advertising and training that will make the most novice businessperson feel professional. Profitable, exciting and fun! We provide the most advanced method for selling retail party items in a business setting that gives even the most seasoned businessperson the greatest enthusiasm of achievement they have ever known. State-of-the-art POS. We provide the most efficient Computer System in the industry today for controlling inventory and running a successful PARTY STORE. Custom balloon decorating. All PARTY STORE owners receive complete training in the art of custom decorations including balloons bouquets, centerpieces, arches, columns and delivery to separate PARTY STORE from the competition. Merchandise – BUYING POWER. Due to ASI's national buying power, we negotiate SUBSTANTIAL DISCOUNTS on the everyday wholesale pricing for OUR PARTY STORE OWNERS. And the best part...no franchise fees or monthly royalties! We have professional site locators with extensive experience in analyzing retail locations and selecting high potential store sites. All ASI PARTY STORE owners receive FREE MEMBERSHIP in the ASI Wholesale Buying Group and receive special discounts and preferred discount pricing. 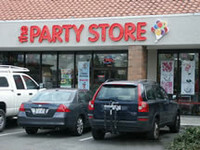 We can help you create a business plan and assist in finding a lender to finance your PARTY STORE. Our Professionally trained Build Out Supervisor will coordinate and complete the build out of your Party Store according to our Fixture Layout and Merchandise Plan-O-Gram. Done by an ASI trainer on site, at your PARTY STORE. We have a complete staff of professionals whose sole function is to help you to succeed. Want to know more? Complete the form below and we will contact you!